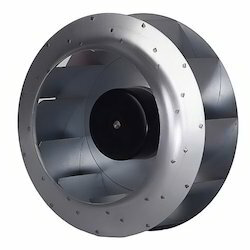 Our range of products include backward curved blowers and ac blower. The comprehensive range of Backward Curved Blower offered by us provides air for ventilation and industrial process requirements. The air does not take many turns, and hence makes these more efficient, wherein the impeller is typically gear-driven and rotates very fast. With the astonishing talent of our competent team, we are offering a comprehensive range of AC Blower, which is fabricated using superior quality inputs and the latest technology at the vendor’s end. In order to supply the best blowers, we are associated with the most trusted and certified vendors of the market. Owing to their high quality, efficient performance and longer service life, these blowers are widely appreciated among our clients.